The PSA and combined unions previously provided updates regarding the announcement to subsume the RMS by 1 July and the subsequent meeting held with the Transport Secretary on 4 April. During this meeting, Rodd Staples conceded a leak to the media led to the announcement being brought forward. 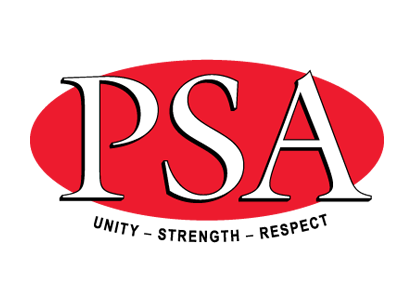 Part of that bulletin advised members that the PSA with assistance from Unions NSW, had sought to dispute the lack of consultation regarding the decision. The PSA and combined unions attended compulsory conciliation for the lack of consultation dispute on Monday 8 April. The RMS has an obligation to consult on workplace change. Be under no misapprehension, this is major workplace change. By announcing change in this way, TfNSW has already provided the combined unions with a taste of what it believes is consultation. The PSA and combined unions have made it clear that this is not and will not be accepted as consultation. The initial concerns relate extensively to the decision to subsume the RMS and how TfNSW will function into the future. This involves a number of decisions on divisional structures and subsequent leaders; functions of those divisions; transition of those functions and lastly; staffing. The PSA and combined unions feel that staffing is the highest priority however there are a number of steps that must require action first. The PSA and combined unions were very concerned that the 1 July 2019 date was an unrealistic timeframe that could artificially curtail proper and meaningful consultation on this massive workplace change. The PSA and combined unions sought the assistance of the NSW IRC to begin a process of consultation that is oversighted by the Commission. This process is meant to run in tandem with the current consultation activities that TfNSW is obliged to follow. This gives some level of comfort that the process will not be rushed. The next conciliation date is 15 April. The PSA and combined unions have decided at this time not to progress the dispute to an arbitration on the issue of the alleged Award breaches in the hope that TfNSW is genuine in its intentions for full, frank and meaningful consultation. The PSA and combined unions sought for the introduction of paid member meetings to discuss the issues with members in order to get information from the coal face on the consequences of this major reform on the run. From a cursory view, there are many part of the RMS that do not readily sit within the current proposed Divisional structure. There are a number of concerns from the membership on how they will transition to the Divisional structure – essentially how TfNSW will ‘divide up the RMS pie’. TfNSW has committed to a process whereby no staff will transition without consultation. How does this affect the current award negotiations? Put simply, it doesn’t. The PSA and combined unions met with RMS and TfNSW representatives to continue those discussions on Tuesday 9 April. Previously, the PSA and combined unions had not provided comment to the RMS or TfNSW on the term for the Award. Both the RMS and TfNSW have parameters from Government for one-year agreements. With the considerable level of disruption caused by the RMS dissolution announcements, the combined unions have sought for a three-year term. This would provide staff with the appropriate security in pay and entitlements as the ‘cannibalisation’ process of the RMS continues. There are subsequent questions on what industrial instruments apply and how RMS staff transition to TfNSW. Now more than ever, we need to be strong, united and active in our workplaces. Watch out for the PSA in your workplaces. To join or get involved, contact your union today!